INCHEON, SOUTH KOREA - Teenager Nasa Hataoka fired a seven-under-par 65 to secure a two-stroke lead in the first round of the KEB Hana Bank Championship on Thursday, with world No. 1 Park Sung-hyun another shot behind. 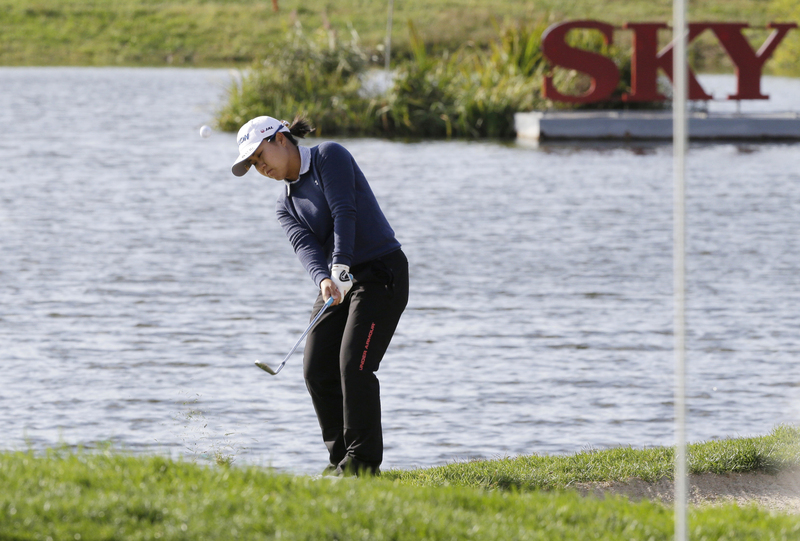 Hataoka, who is 19 and on her second tour season but ranks 14th in the world, carded eight birdies to grab the solo lead on a blustery day at the Sky 72 Golf Club’s Ocean Course, her round only spoiled by a bogey on the 17th. “I nailed a lot of long putts today and read the greens really well,” Hataoka said after the round. Hataoka won her first LPGA title at the NW Arkansas Championship in June and is aiming to represent Japan in the 2020 Tokyo Olympics. Danielle Kang of the United States and England’s Charley Hull were tied for second place, two strokes adrift. Kang , who is ethnically Korean, said the conditions were “tough” but focused on “keeping it steady, keeping consistent” as she was cheered on by friends and family. Top-ranked Park of South Korea finished the first round at four-under 68, tied for fourth place with Minjee Lee of Australia.